Super Kids Nursery offers a "World of Smiles" with it's unique approach to pre-school learning for children from 11 months to 4 years old. They offer a balance of academic, artistic and practical activities so your child can develop rapidly during the early years. SKN has a warm, home-like atmosphere where your children are under the supervision of trained, caring, friendly and dedicated staff. We also have a full time nurse and a doctor who visits once every month. 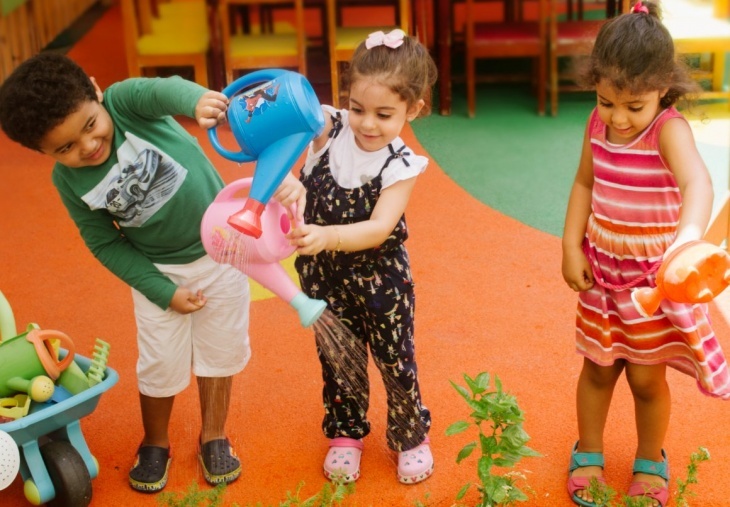 There are 5 beautifully decorated classrooms, an indoor gym, a soft room and outside play areas which includes bicycles, swings, slides, sandpit, water play area and more. To prepare the child for formal learning by providing a stimulating and fun environment. To use art as language of communication and expression. To encourage total involvement and active participation on the part of the child. To provide hands on tactile activities to develop sense of exploration, observation, imagination and discussion.